SAVE $47.99 on your order today! Rustic styling in counter height collection from Steve Silver. 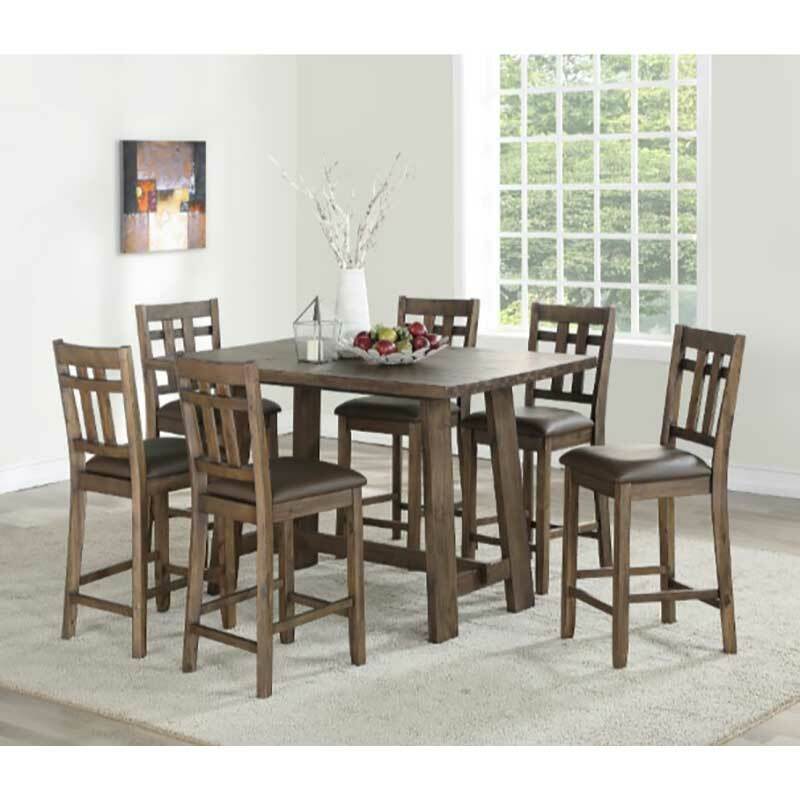 Pub table with 6 easy care counter height chairs with arts and craft influence, back slats for added strength and comfort. Plank style dining top.